Pelicans inspire me to paint. My husband and I were in Clear Water Florida having drinks on the pier when we notice this boat. This fishing boat hosted a squadron of brown pelicans. Large, powerful and a very social seabirds that spend most of their time around the ocean and beaches. There long skinny neck has a very large pouched bill. When hunting fish they dive to the ocean to scoop fish that swim along the surface of the water. 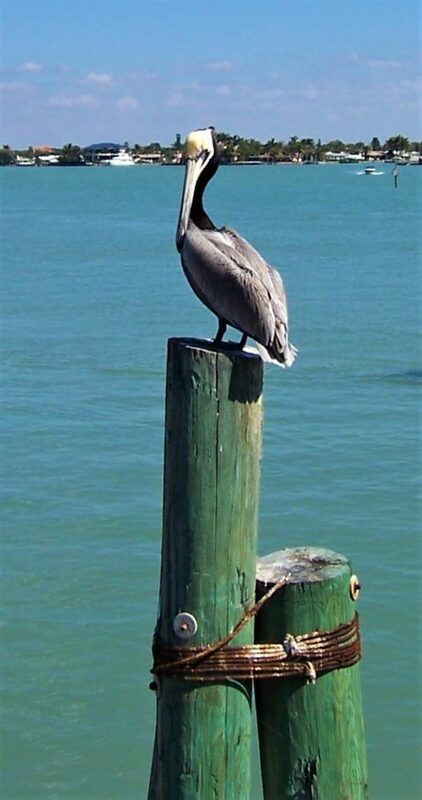 The smallest of six different species of pelican that are the most colorful during the matting season. 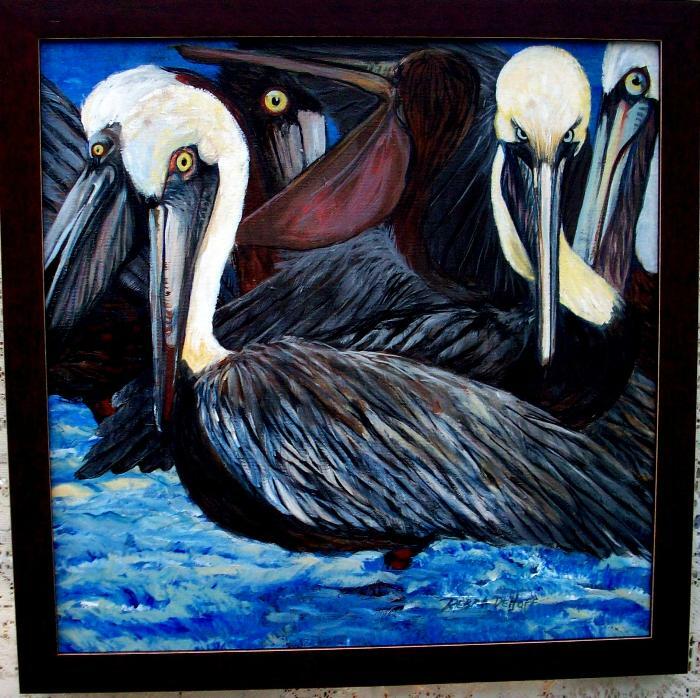 These pelicans inspire me to paint because I find them so fascinating. Watching them toss the fish from side to side to remove the water in their bill before swallowing their prey. Both parents feed and watch over their nest. The brown pelican breeds in large colonies of several hundred pairs. These colonies can be found in trees or bushes usually on small islands that dot the coast line. In Florida they nest mostly in the mangroves. You can learn more about them here. 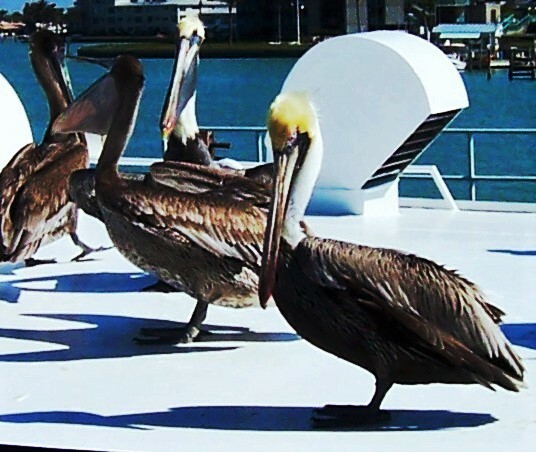 Brown pelicans on boats docked. 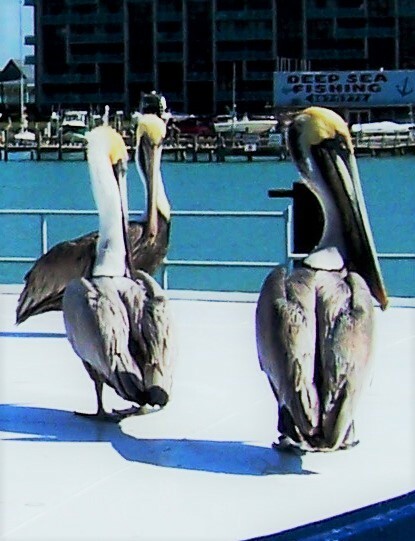 Brown pelicans just hanging out on the dock.. This maybe another composition for a painting. 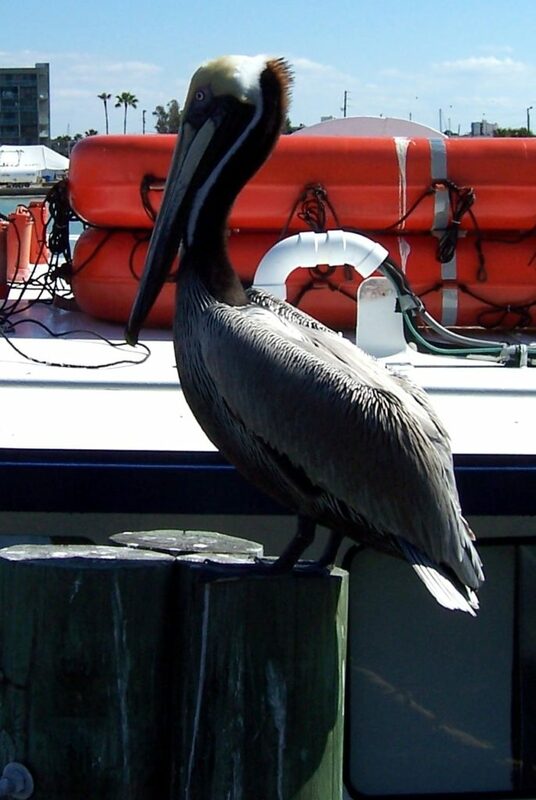 This is a handsome pelican, it’s breeding season you can tell because of the yellow plumes on top of his head. 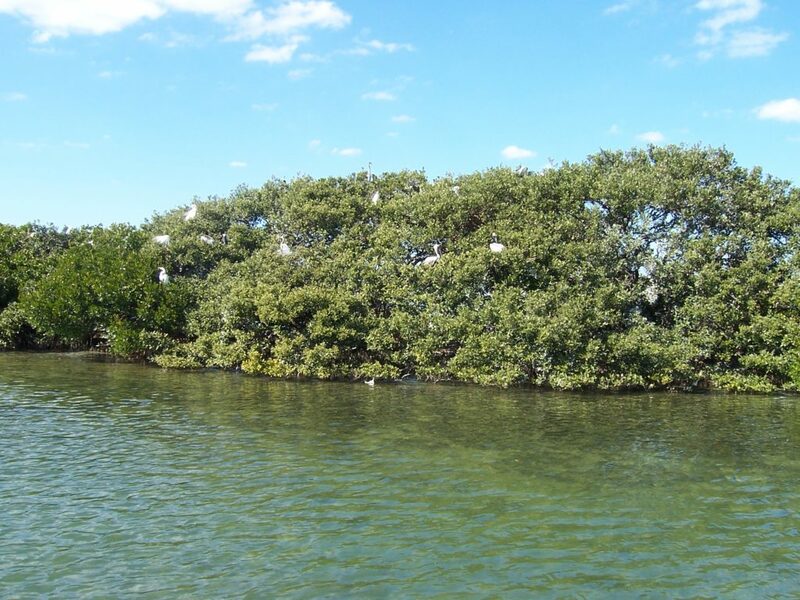 Here is an island with mangrove trees where many seabirds like pelicans’ nest. As you can see that brown pelicans inspire me to collect the research, so I go where I can take photographs. I put together a composition of a squadron of pelicans enjoying what they do best. Spending time in the ocean. Pelicans inspire me to capture them in a painting. Remember that if you do the research on your subject matter it shows in your paintings, never be afraid to push the boundaries. Paint something great!